I am a big soccer fan, however, I don’t get a chance to watch the J.League play much as I have yet to figure out when matches are played on KeyholeTV. As far as the English Premier League, I’m a big Manchester United and Newcastle fan. 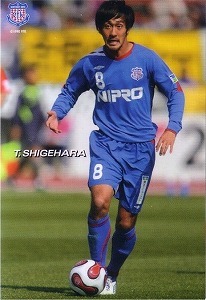 If you do follow the J.League, you may know of Takehito Shigehara, a hopeful for Japan’s national squad. Seems he is in trouble yet again. On Friday, Kobe police arrested the 26-year-old soccer star on suspicion of breaking into a university student’s house and stealing her underwear. Takehito was 19 at the time. This is not good at all because just 2 years ago in March of 2006, he was arrested for trespassing at a female’s home. Seems Takehito cannot leave the ladies alone. Daily Yomiuri Online via FG. Do you think Akihabara needs police?